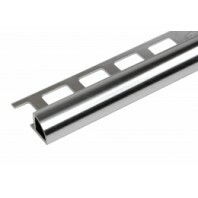 Aluminum Tile trims and edging are required to fit the bathroom tiles perfectly in bathrooms. A series of relief cuts is required at outside and inside corners so as the flooring will lie flat over the floor. The trims and edging styles come in a variety of depth and colors. Most common sizes used are 6 - 8mm. Nowadays, we have a medium to large format tiles, 9 - 12mm trims are widely being used in the UK markets. Vitrex 50 2140 Plastic Pipe & Trim Cutter, mini hacksaw & miter box set, 4 Piece Professional Tool Set are basic tools available for tile trims and fitting. White or light pastel colors to nearest matching the tiles or grout color are the most commonly used colors in various places. There are trim and edging applications which are suitable for the use of vinyl. They basically have an open section to accommodate a vinyl skirting. This is mainly preferred for commercial businesses. Normally, the tiles come with various sizes between 2.2m - 2.4m.Thr trims are mainly preferred for external corners to protect them and the tiles meet with 90 degrees with each other. The tiles can also be laid with an angle of 45° to give a nice finish to a square corner. 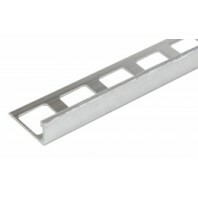 Tile trims also come with square shape for use with mosaic tiles with 3mm in thickness which is found in stainless steel. Floor tile trims and edging are mainly used for bridging between the tile and other coverings such as vinyl, carpet and wood. There are different ways of cutting tile trims. The common and the best way is to use a small toothed saw or miter box. 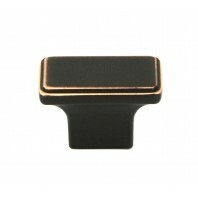 Some special tile metal trims are also available similar to a form-able trim. 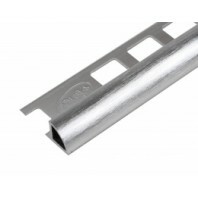 This is mainly preferred for wavy obstacles like pillars, by using a tile trim forming tool. Form-able trims are also compatible for floor tiling as well as for wall tiling. Generally trims and edging are started from top of the lapped-up flooring and it is cut straight down to the meeting point of floors and walls. In case of inside corners of the tiles, diagonally cut the excess flooring; gradually trimming is done until the flooring lies flat in the corner. The material which is lapped up against the walls needs to be removed after trimming down the corners. Cutting away the door casing so as to provide a slip through for the flooring under the casings is one of the best ways to mask the exposed edge of the flooring over a doorjamb. Tight fit of flooring around the doorways and other locations should be checked after tile trims and edging. Cleaning the floor surface is very essential after tile trims and edging. Many floor cleaners are available which are recommended by the manufacturer that leaves your flooring unharmed. Proper solvents are available for wiping away the excess adhesive that left out on the surface. If the flooring is installed using an adhesive, make sure that the flooring is set firmly into the adhesive. For effective tile trim and edging use of a floor roller is recommended. 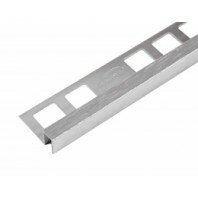 Aluminum Tile Trim is designed to finish and protect tile edges on floors and walls. It is ideal for creating floor transitions between tile and another surface of the same height such as carpet or wood. 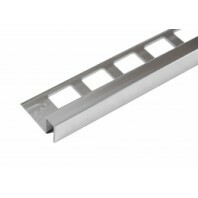 Tile Trim available in Brushed Finish and in Chrome Finish. 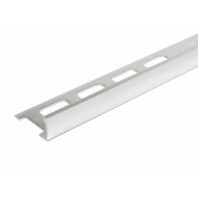 Aluminum Tile Trim is ideal for finishing the edge of tiled backsplashes, countertops and niches. · Made of anodized aluminum - Brushed..
Aluminum Tile Trim is ideal for finishing the edge of tiled backsplashes, countertops and niches. · Made of anodized aluminum · &..
Aluminum Tile Trim is ideal for finishing the edge of tiled backsplashes, countertops and niches. · Made of anodized aluminum - Polish ..